Basville’s private correspondence reveals aspects of his character that deepen our understanding of the intendancy in the old regime. 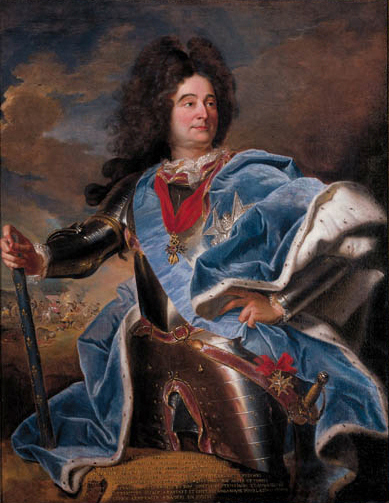 On 11 November 1703, the intendant of Languedoc, Nicolas de Lamoignon de Basville, wrote in private to his brother in Paris on the subject of the maréchal then commanding royal forces in the Cévennes, Nicolas de la Baume Montrevel: “I do not believe that there is a man in France more incapable of this position; he is a mere weathercock who never has an original thought, but who also cannot benefit from the thoughts of others. . . . He is a liar to the highest degree.” The intendant also accused the maréchal of hopeless lassitude and of being so superstitious that he spent much of his time corresponding with an astrologer in Paris whose warnings he obeyed assiduously. Montrevel, who appears to have been every bit as stupid as the intendant charged, detected only the slightest hint of tension with the intendant, writing merrily to the Minister of War the following month that “the small chill between M. de Basville and me has ended after he has given me good cause to be content with the assurances he has given me.” Alas for the maréchal, he was woefully mistaken. The intendant had determined to be rid of him, and while it took several months to engineer, Montrevel was soon relieved of his command and replaced by the much more talented and energetic Maréchal de Villars. It is hardly surprising that an intendant as skilled in court politics as Basville should have kept certain thoughts, attitudes, and plans confined to a small inner circle of discreet friends and relatives. What is remarkable is that historians should have access to a portion of his private correspondence with those intimates, permitting a rare view into both the man behind the public image and the ways in which he used his private correspondence to attain his public ends. That we possess some of those letters is entirely due to Basville’s famous grand-nephew, Guillaume-Chrétien de Lamoignon de Malesherbes, who collected his private letters in an effort to see if the old intendant was indeed as much the persecutor of Protestants as his public reputation suggested. Malesherbes was devoted to the cause of religious toleration, of course, and there was thus a certain bias in his motivation for copying and preserving these letters. A thorough reading of the surviving letters also shows, however, that Malesherbes made no attempt to conceal or to downplay unattractive traits of Basville’s character. The letters, largely copied in Malesherbes’ own hand, form the core of the correspondence preserved in the Archives Nationales under the private seal of the d’Herouville family today. The author of this remarkable correspondence came from an illustrious robe family. His father had been Guillaume de Lamoignon, first president of the Parlement of Paris, and his older brother Chrétien, to whom many of his letters were addressed, succeeded his father in the same parlement. 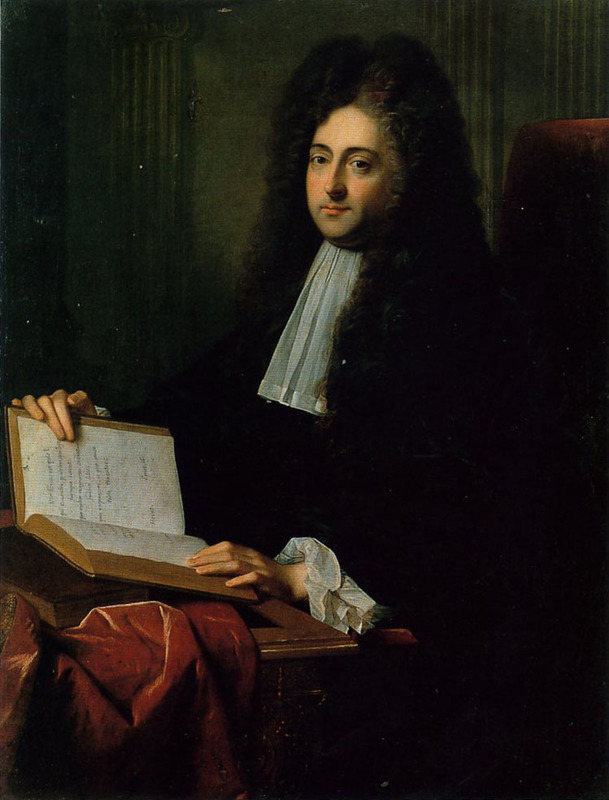 Basville followed the classic path of a son born to such a family, becoming an avocat in 1667, a conseiller au parlement in 1670, and a maître des requêtes in 1673. Attaching himself at the same time to the clienteles of Louvois and Claude Le Pelletier (and also Madame de Maintenon, whose friend he had been before her marriage to the king), Basville was appointed to his first intendancy at age thirty-four in 1682 in Poitiers. He acquitted himself well, reforming the tax system and manipulating it to persuade Protestants to convert to Catholicism. When Henri Daguesseau retired from the intendancy of Languedoc in 1685, Basville was appointed to replace him. Drawing power and support from clients and allies, Basville worked to implement the often brutal religious policy of the king in this most Protestant province. Unsurprisingly, his energetic enforcement of the Revocation of the Edict of Nantes drew universal condemnation from Languedoc’s Protestants. The pastor Pierre Corteiz called him “as cruel and pitiless a man as there ever was in the world. The hate and detestation for the reformed religion with which the Jesuits filled him, the cruelty to which he was naturally inclined, made his soul happy on those occasions when he was able to condemn some Protestant to an awful punishment. 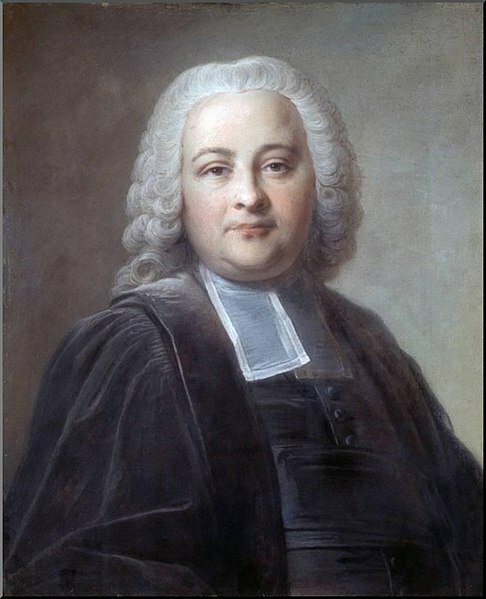 We will give over this tyrant to the judgment of God.” It was Basville’s image as ruthless persecutor of Protestants that drew Malesherbes’ attention, but there are signs in the sources that this portrait has been overdrawn and ample evidence that he took little joy in this role. When Protestants continued to gather in illegal and illicit assemblies in the mountains after the Revocation had been issued, Basville chose arrest and imprisonment over the more drastic death penalty favored by his patron Louvois. During the ferocious Camisard Rebellion that raged in the province from 1702 through 1704, there is some evidence from his private correspondence that Basville resorted to several quiet amnesties to accompany his far more public policy of severe examples and violent repression. He likewise insisted on judicial process for those captured at Protestant assemblies, and he was not inclined to create evidence where there was none in doling out punishments. That said, he did not hesitate to enforce these religious policies, and he followed the pattern of most administrators of the period in maintaining a stubborn and determined belief in the efficacy of severe punishment as a deterrent to resistance and rebellion. Though opposed strenuously by many of the southern bishops in the formerly Protestant south (including Basville’s friends and clients, the bishops of Nîmes and Alès), the new Declaration of 1698 ordered that no one be forced to attend mass, that the sacraments not be denied to anyone for any reason, and that religious education not be forced on children. Basville regarded the shift in policy as a terrible mistake. 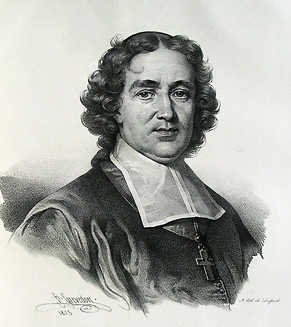 Writing in private to Fléchier, who had also opposed the new declaration, Basville hoped “that the orders would change,” and he warned that if Protestants found out about this change “not one will enter a church.” As was often the case, his private attitudes became his public position, and he wrote a memoir to the court in May 1698 that used withering logic to show that one could not force religious conversion without also enforcing religious practice. A stream of private letters to Fléchier and his brother thundered against the declaration, all of them filled with arguments about how the older policy of coercion was working, how people were in fact attending mass, and how success would be achieved if they were only required to continue. Basville and his brother were both stung, however, by the argument that they were persecutors. Malesherbes preserved a letter from Basville’s brother to Bossuet in which Chrétien de Lamoignon wrote defensively, “I do not want anyone here to characterize myself or my brother as persecutors of the Huguenots. There have been widespread rumors that they are subjected to terrible violence in Languedoc. I can assure you that there is not a province in the realm where they are treated with greater kindness.” Whatever the rationalization, Basville and many Languedocian bishops pushed beyond the limits imposed by the new declaration and the royal orders that followed, forcing some Protestant children (especially from noble families) to attend catechism classes, denying burial to those who could not document having received the last rights, and arresting those caught at Protestant assemblies with greater ferocity than ever before. Being entirely unrelated to Basville, Montrevel invited no such family loyalty, but the intendant was at first charmed by the old maréchal’s joie de vivre and his open courting of Basville’s favor. Alas, the charm soon wore thin, and the intendant became increasingly aggravated by Montrevel’s laziness and stupidity. The maréchal seemed considerably more interested in chasing after young women at his headquarters in Alès than chasing after rebels in the mountains. Basville was perhaps especially incensed by the fact that his brother-in-law had failed and been disgraced because the monarchy had sent too few troops, whereas this new commander had plenty of troops but lacked the energy or the wherewithal to use them. In letters to his brother like the one which opened this article, Basville began to attack Montrevel’s laziness and jealousy. While that correspondence was private, the intendant certainly must have realized that rumors would begin to circulate, and that letters from his own correspondents to their correspondents would begin to create doubts in officialdom about the maréchal’s abilities that might make a more public condemnation possible and successful. The success of this strategy became plain in December 1703, when the controller general and minister for war Michel Chamillart sent the intendant a confidential set of questions to be answered in Basville’s own hand that echoed some of the very charges the intendant had already made to his own confidants in his private correspondence. Chamillart asked, for example, whether rumors that Montrevel was lazy and spent only the mornings at work were true. Basville answered, “One can speak of various matters to him principally in the morning, but often he doesn’t pay very much attention, and he forgets what he has decided.” Asked if Montrevel was jealous and refused to listen to the ideas of others, Basville answered, “It is certain that his jealousy, which extends to all his officers, prevents him from profiting from other opinions.” The memoir was a crushing indictment, brilliantly framed to show that the intendant admired the commander, had worked with him, and was still working with him, but lacked confidence in him. This memoir was only the coup de grâce on top of a private correspondence that laid the groundwork for a very public act. Once the intendant had begun to make the argument to powerful court figures like his brother, it was only a matter of time before he would be called upon to make his argument directly to the minister of war at Versailles. Montrevel’s replacement, the maréchal de Villars, was far more confident and competent and a superior diplomat. He chose a combination of hard-fought and intense military campaigns in conjunction with a wide-ranging amnesty to try to quell the rebellion. Basville had tried a few amnesties on his own, but they had never been successful, partly because the leaders of the rebellion in its earlier stages remained confident of success and therefore uninterested in surrender, partly because Montrevel had never been enthusiastic about a policy of “douceur.” As the new commander’s strategy began to succeed, Basville wrote to his brother defending both the policy and the new commander against the charge that Villars was soft on Protestants. Even before the new maréchal’s arrival, Basville began psychologically positioning himself toward a more accommodating and diplomatic solution to the rebellion. In a remarkable letter written in April 1704, the intendant argued that he had always favored amnesties and that he had never been in favor of the Revocation of the Edict of Nantes. “One can never know and one will never know all I have done to end this war by gentle means (par la voie de douceur).” On matters of religion, he wrote, “I will listen to anything anyone wants to say to me. I know this terrain well. It was never my opinion to revoke the edict of Nantes and no one bothered to consult me about it.” This newfound moderation on religious issues may well have mirrored the charismatic personality of the new commander, but his defense of Villars also shows that he could use his private correspondence to support a general as well as to oppose one. Basville’s private correspondence reveals aspects of his character that deepen our understanding of the intendancy in the old regime. These letters show us an official who did not allow his private doubts to interfere with his public course, but who did have private doubts and who was not loathe to share them with his closest friends and relatives. Yet it also shows the ways in which this intendant used that private correspondence to further his public ends. 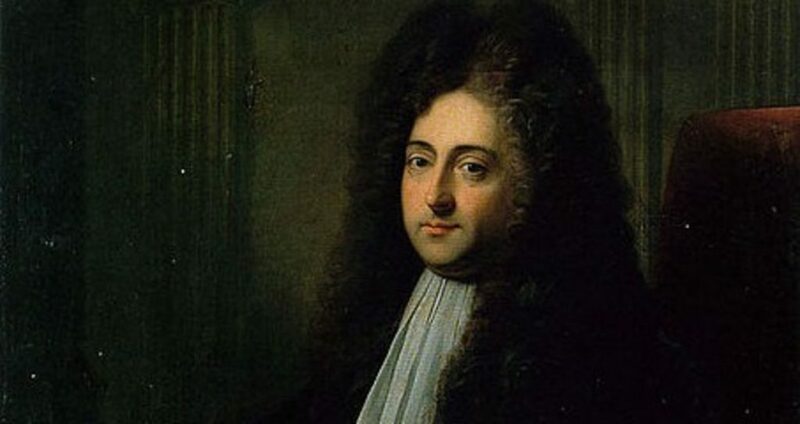 Serving the king in a distant province which prevented him from direct and personal access to his masters at Versailles, the intendant learned early to master both the private and public spheres in order to manipulate the monarchy into the positions that he felt best served its interests. In that sense, the letters that Malesherbes preserved and that now reside in the archives of France help to deepen our understanding of the Old Regime and the officials—or at least, this specific official—who helped to define it. Archives Nationales, Paris [hereafter AN], Chartrier Tocqueville [hereafter Ch. Tocq.] 171, Nicolas de Lamoignon de Basville to Chrétien de Lamoignon, 11 November 1703, fol. 169. Archives Historiques de l’Armée du Terre [hereafter AHAT], A1 1708, Nicolas La Baume Montrevel to Michel Chamillart, Minister of War, 11 December 1703, fol. 292. I am grateful to M. le comte et Mme la comtesse d’Herouville for permission to cite from the “Chartrier Tocqueville” microfilmed in the Archives Nationales. In exploring this archive, I succeed two French historians whose articles also discuss the letters’ provenance. Philippe Joutard and Jean Robert Armogathe, “Bâville et la guerre des Camisards,” Revue d’Histoire Moderne et Contemporaine 19, no. 1 (1972): 45-72, and “Bâville et la consultation de 1698, d’après sa correspondance avec l’évêque Fléchier et son frère, le Président Lamoignon,” Revue d’Histoire et de Philosophie Religieuse 52, no. 2 (1972): 157-84. Malesherbes was Chrétien’s grandson and namesake. On the family, especially on Basville’s brother, see the old, but still useful work of Louis Vian, Les Lamoignon: Une vieille famille de robe (Paris, 1896), 219-42. Robert Poujol, “Le rôle des intendants dans les préliminaires de la Révocation,” in Roger Zuber et Laurent Theis, eds., La Révocation de l’Édit de Nantes et le protestantisme français en 1685 (Paris: S.H.P.F., 1986), 104. For the evolving structure of the intendancy and a fine bibliography, see Anette Smedley-Weill, Les intendants de Louis XIV (Paris: Fayard, 1995); for the intendancy in Languedoc, see William Beik, Absolutism and Society in Seventeenth-Century France: State Power and Provincial Aristocracy in Languedoc (Cambridge: Cambridge University Press, 1985), 105-16. See Beik, Absolutism and Society, pp. 14-15; James Collins, The State in Early Modern France (Cambridge: Cambridge University Press, 1995), 109, 116, 146; Sharon Kettering, Patrons, Brokers, and Clients in Seventeenth-Century France (New York: Oxford University Press, 1986), 133-40. On du Chaila and his relationship with Basville, Robert Poujol, Bourreau ou martyr? L’abbé du Chaila (1648–1702) (Montpellier: Presses du Languedoc, 1986). Robert Poujol, Basville, roi solitaire du Languedoc. Intendant à Montpellier de 1685 à 1718 (Montpellier: Presses du Languedoc, 1992), 159. Poujol’s biography largely supercedes the older introductory essay in Henri Monin, Essai sur l’histoire administrative du Languedoc pendant l’intendance de Basville (1685–1719) (Paris, 1884). The office of subdelegate was not officially created until April 1704, but intendants had effectively created it years before. Kettering, Patrons, Brokers, and Clients, 188. Basville appointed subdelegates in Castres, Alès, Tournon, Montpellier, Nîmes, Le Vigan, Uzès, and Toulouse. Poujol, Basville, 153-54. Sara Chapman, Private Ambition and Political Alliances: The Phélypeaux de Pontchartrain Family and Louis XIV’s Government, 1650–1715(Rochester, NY: University of Rochester Press, 2004), 76. Louis de Rouvroy, duc de Saint-Simon, Mémoires de Saint-Simon, ed. Arthur de Boislisle (Paris: Hachette, 1879–1928), 11:80-81. Pierre Corteiz, Mémoires et lettres inédites (Mende: Société des Lettres, Sciences et Arts de la Lozère, 1983), 22. Charles Bost, Les prédicants protestants des Cévennes et du Bas-Languedoc, 1684–1700 (Montpellier: Presses du Languedoc, 2001), 1:123-57. AN Ch. Tocq. 171, Basville to Gourville, 25 May 1703, fol. 134. This was most famously the case with the Baron de Salgas, whom Basville suspected of being a secret leader of the Camisard Rebellion. The intendant noted in a letter to his brother, “M. de Montrevel estoit d’avis de luy [Salgas] faire couper le col, mais je luy ais fait comprendre que les jugements ont des règles qu’il faut suivre.” AN Ch. Tocq. 171, Basville to Lamoignon, 29 June 1703, fol. 92. On the Salgas case, see Gaston Tournier, Le Baron de Salgas, gentilhomme Cévenol et forçat pour la foi (Mas Soubeyran: Musée du Désert, 1941); W. Gregory Monahan, “Between Two Thieves: The Protestant Nobility and the War of the Camisards,” French Historical Studies 30, no. 4 (2007): 537-58. AN Ch. Tocq. 171, Basville to Fléchier, 20 October 1702, fol. 45. AN Ch. Tocq. 171, Basville to Fléchier, 25 May and 2 June 1701, fol. 42. AN Ch. Tocq., 171, Basville to Lamoignon, 27 September 1703, fol. 48. AN Ch. Tocq. 171, Basville to Fléchier, 25 May 1708, fol. 53. Bibliothèque Arsénal, Paris [hereafter BA], Mss. 3854, Montrevel to Basville, 14 April 1703, fol. 108. Malesherbes’ notation in AN Ch. Tocq. 171, fol. 10. Henri Daguesseau, quoted in Armogathe and Joutard, “Bâville et la consultation de 1698,” 159. AN Ch. Tocq. 171, Basville to Fléchier, 15 February 1703, fol. 12, no. 3. The memoir, dated 11 May 1698, is in AN TT430, fol. 126. AN Ch. Tocq. 171, Basville to Fléchier and Lamoignon, July 1698 through August 1699, fols. 12, 16, 18, 23-26, 80, 157, 159. Lamoignon to Chamillart, quoted in Armogathe and Joutard, “Bâville et la consultation de 1698,” 159, n14. The royal memoir to the intendants is in AN TT430, fol. 129. Basville’s memoir to the bishops pushing the limits of the order is in ADH C273 (no fol. #). There is another copy in the Bibliothèque Nationale, Mss. 7045. Fléchier made his opposition clear in a series of letters to La Vrillière. Esprit Fléchier, Oeuvres complètes (Nîmes, 1782), 10:87-91. The literature on the Camisard Rebellion is vast. For an excellent historiography, see Philippe Joutard, La légende des Camisards: Une sensibilité au passé (Paris: Gallimard, 1977), and Henri Bosc’s bibliography in the mammoth chronicle, La guerre des Cévennes, 1702–1710, 6 vols. (Montpellier: Presses du Languedoc, 1985–1993). AN Ch. Tocq. 171, Basville writing to an unnamed correspondent, 2 June 1701, fol. 160. AN Ch. Tocq. 171, Basville to Lamoignon, 23 March 1703, fol. 170. AN Ch. Tocq. 171, Basville to Lamoignon, 28 February 1703, fol. 170. BA Mss. 3854, Montrevel to Basville, 12 April 1703. fol. 106. 35 AHAT A1 1709, memoir in Basville’s hand, 2 December 1703, fol. 388. Saint-Simon echoed Basville’s opinion of Montrevel, noting that he was so stupid “he couldn’t distinguish his right hand from his left.” Saint-Simon, Mémoires, 11:50. AN Ch. Tocq. 171, Basville to Lamoignon, ca. 15 June 1704 [date approximate], fol. 175. AN Ch. Tocq. 171, fol. 102, Basville to Lamoignon, 13 April 1704. Cited in Vian, Les Lamoignon, 222. Originally published by the Journal of the Western Society for French History 37 (2009) under the terms of a Creative Commons Attribution-NonCommercial-NoDerivs 3.0 Unported license. This entry was posted in Uncategorized and tagged France, French, History, Nicolas de Lamoignon de Basville. Bookmark the permalink.